We suffered the ignominy of an unscheduled exit from the MTN 8 Cup on away goals. We just couldn’t find the goals we needed to win and suffered the consequence. Charles Ali looks like a good find for us. Unfortunately he doesn’t seem to be eligible for the Champions League, and I don’t know why. Zech will miss the first couple of games this season. Not ideal but not a total disaster. Ralebakeng is not likely to play any meaningful minutes for us this year so no great loss. Good to finally get under way. They play a 4-4-2 which typically does not pose problems for us. We have been made favourites. I am feeling good about our chances here. We totally blanked them! 67% possession and zero opposition shots tell the tale. A great result for us. Nothing much more to add than we totally destroyed them. Gertse is my key backup leftback. To lose him for 6 weeks is a problem. These guys won their first match, so I can’t take them lightly. They seem to favour attacking down the right flank, and play a 4-4-2. Should be a good match. I don’t like this formation at all! looks like they are setting up to counter attack. No changes for us following the last match. They agree with my assessment that we may struggle here. My fears were correct. They were hard to play against. When they got back level they were starting to control the game, and it took effort to stick to my guns. In the end we finished better, and that was the difference. We did OK, and most importantly we bagged the 3 points. Lavet is back scoring, while Radzi looked good. His passing was a little off, however. FS Stars have been a handful, and we have not really dominated any of our matches against them. We have only lost once though, however that cost us second place! After our opening two matches I expected a little more from the team. In the end we had to rely on penalties to advance. Our season opened sees us face Platinum Stars in what should be a good contest. Platinum Stars have not had much fun against us. It was my intention to ensure they didn’t today either. We did exactly what we needed to and kept another clean sheet. We are off and running ine theLeague. Grigorjevs deserved his POM award with a top hat-trick. After his disappointing season last season it is time for him to step up. The defending champions find themselves at the bottom of the group. It is my intention to keep them there. Looks like the bookmakers don’t believe we have a chance. I do so enjoy a challenge. We have almost a full first choice line-up, with the exception of Makeringe who is on international duty. Well we proved the bookmakers wrong with a storming game. We dominated possession and starved them of ball. The only complaint could be that we didn’t score more goals! Lavet was POM today and thoroughly deserved to be. It was his passes which set-up both goals. Our composite pass map. That is what possession dominance looks like! Another 3-5-2 formation which we find hard to deal with. One change from my original best line-up as Makaringe starts on the bench this week as Muhimpundu is preferred in the midfield. We start as favourites in this match. The key is can we overcome the opposition formation. I think we proved we can! Lavet looks a different player when the ball is played into his feet, and he bagged a double today. A very solid performance. Pleasing to see a 90% pass completion ratio. Of the 7 long shots, 5 were long range free kicks. This is annoying. Tseka has been developing really well and has been a key player in our performances this season. The guys play a 4-4-2 which is not a formation that scares me. I have made five changes for this match, some due to injury and some for fitness. Ali is starting on the right flank as an inside forward rather than an advanced playmaker however. Despite the uphevals to our starting line-up we are still considered favourite. I’m not sure I agree with that assessment. Given that we had to rest a number of key players I will happily take a draw. The only downside is that it wasn’t away. Passing success was down due to only having one forward playmaker. Still we didn’t do too badly and I’m happy with the point. The long ball assists are a thing to watch, especially after they scored their goal from one. A much stronger line-up with the only surprise being Ali preferred over Lavet. This is more because we have a champions league match in four days. Very tight call this. I’m hoping that we can pull a win out away. Disappointing performance. We looked a shadow of our former selves, and couldn’t get a shot on target to save ourselves. It was a game where both sides cancelled the other out. We just couldn’t find a way through. Undefeated but still out of the cup. Second, but with a game in hand. With the cup ties I may have a few games in hand for a while. Sitting on top of the group. No complaints here. The actual fixtures covered may change depending on the next cup, plus Champions League draw. 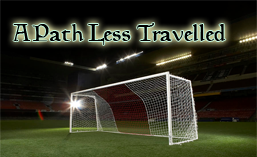 This entry was posted in 2018, A Path Less Travelled, Jomo Cosmos, Season 2018/19 and tagged Ajax Cape Town, AS Vita Club, FS Stars, Orlando Pirates, Platinum Stars, USM Alger, Zamalek Sporting Club. Bookmark the permalink.